“3… 2… 1… Let’s go! Takeoff. Good luck be safe,” Angie Reay, director of the wellness center, said over the mic to commence the race. 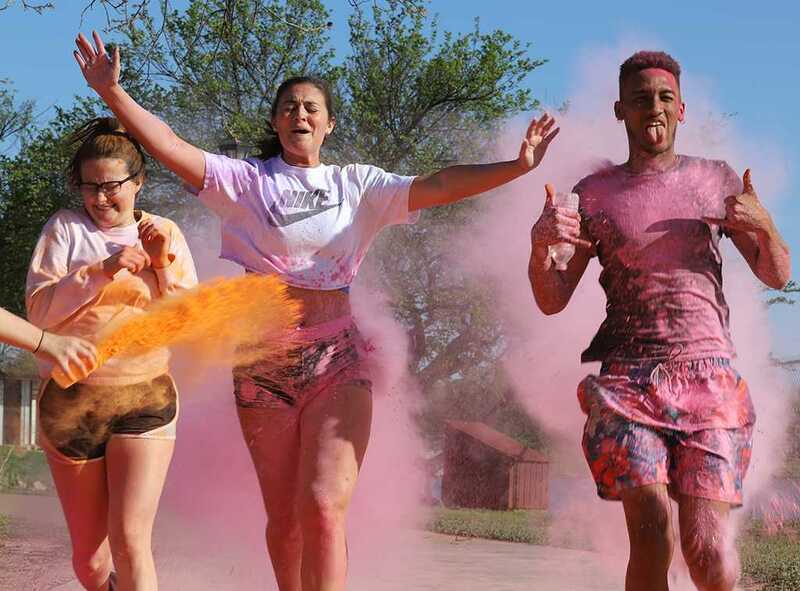 To raise funds for the Famine Faith Refuge, staff from the wellness center and the Office of Residence Life hosted the 5Kolor run event April 20. Reay also stated that there was an “amazing” turnout this year. Keelie Ralston, kinesiology junior and resident assistant, was also happy with the turnout. Ralston said resident assistants also help organize the 5Kolor run. This has has been her third year helping out. “It’s been quite a few weeks: Just getting all the supplies we need, jobs for everyone that’s gonna be doing stuff, just stuff like that,” Ralston said. 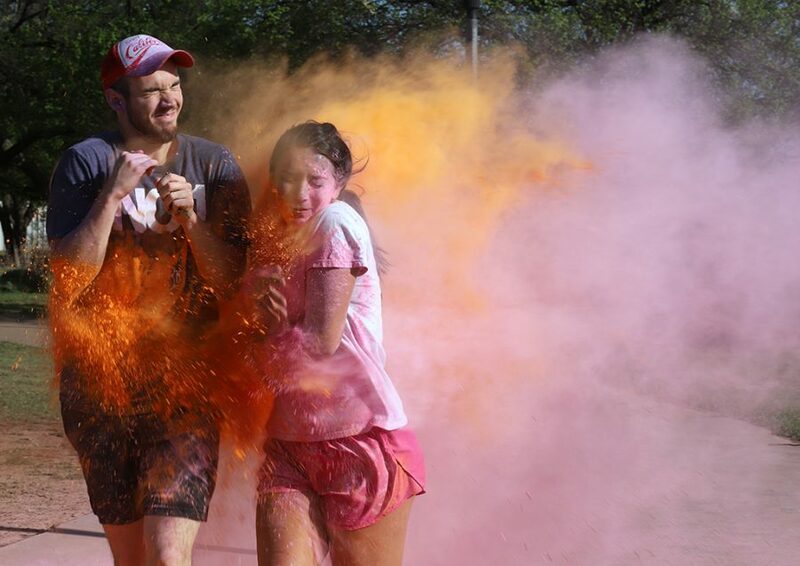 She also stated that students should come because this is “the best 5k” on campus. “For one, it’s free. And for two, you get to have fun while running and get color thrown all over you, so I think it’s great,” Ralston said. Cameron O’Neal, computer science sophomore and 5Kolor run winner, said he heard about the event from one of his best friends. “I feel pretty good, I didn’t know I was going to come in first place but, then I got really competitive and I ended up just going all out,” O’Neal said.